These very words of Mahatma Gandhi was inspirational in the formation of AKSHAYA Cares…. an entity committed to create a better living for all through cohesive support from all the caring individuals. 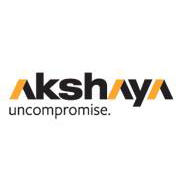 Akshaya’s latest offering is the perfect solution for all your property needs. Akshaya Services Pvt Ltd., provides top-notch utility and maintenance solution for all residential and commercial properties of Akshaya. This service is applicable to external projects as well. The facility would include property maintenance, repair work, painting, interior solutions, household professional services, utility bill payment, pest control and lease / rent and resale.